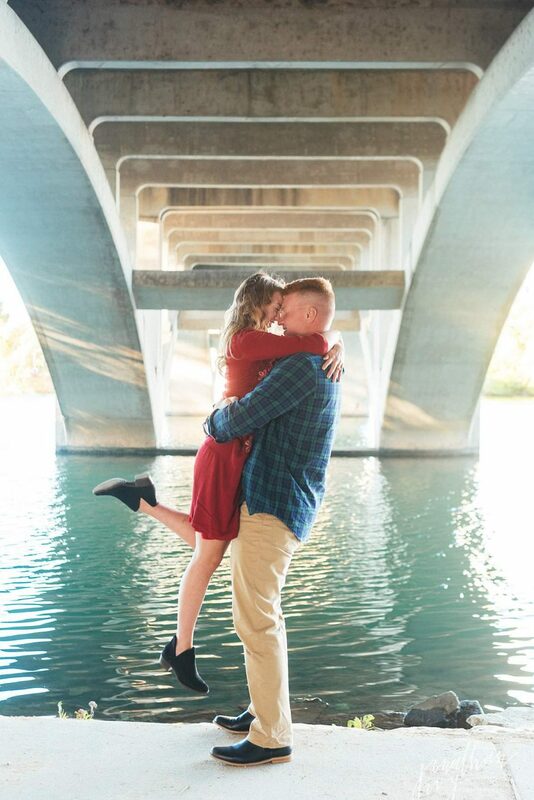 This lovely couple is from Utah and Pittsburg, hence the sweaters. 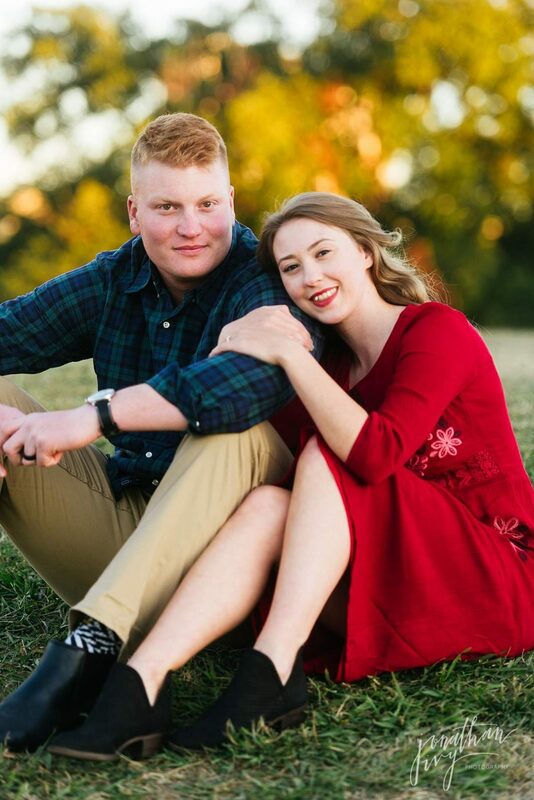 They are both serving in the Army and are already married but with their different deployments they have very little time together. So they are making every moment count! We met up at Butler Park in Austin and walked the Pfluger Pedestrian Bridge and took a shot with the Austin Skyline behind them. 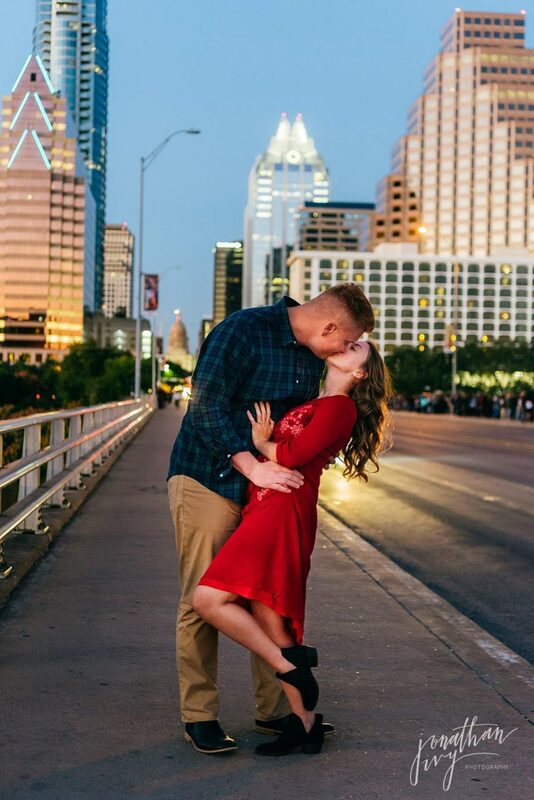 Then we took some engagement photos underneath the South Lamar Bridge and the Doug Sahm Hill Path. 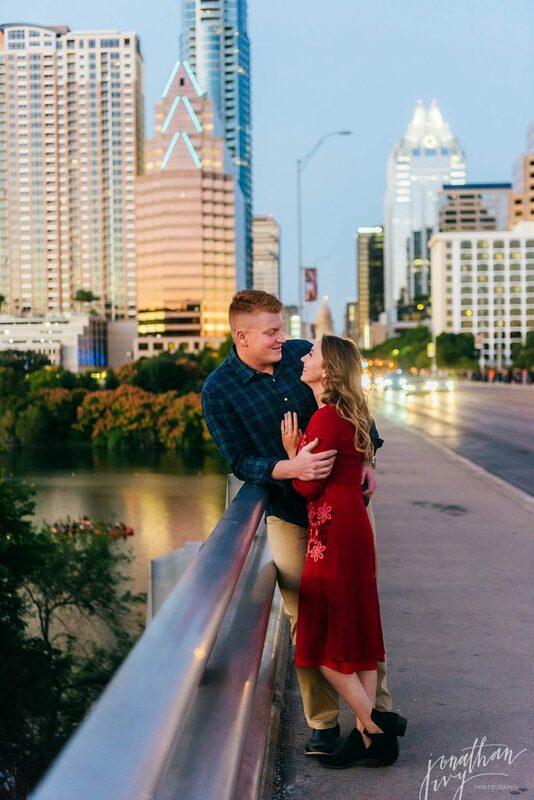 To wrap the day we went to the South Congress Avenue Bridge for some beautiful skyline photos at sunset! Love these sweaters representing their homes! To see more portrait sessions by Jonathan Ivy please visit us on Facebook or on our Engagement Blog!